The Church of the Annunciation of the Virgin Mary is made up of Greek Orthodox communicants committed to the sacred task of witnessing to the teachings of the Lord as interpreted by the Holy Fathers since Apostolic times. This unbroken continuity of belief and practice is communicated by means of liturgy, catechesis, and fellowship through which membership in the Body of Christ is made real for our communicants. 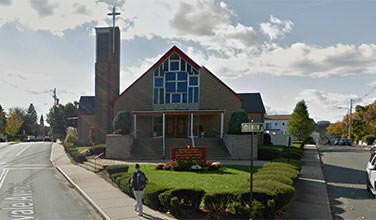 Founded in 1917, our parish includes organizations as the Parish Council, the Ladies’ Philoptochos Society “Patris,” youth groups, religious education classes, Greek language classes, choir, study and senior citizen groups. Hellenic culture adds a special enrichment to all our activities whose end purpose is to promote the spiritual growth of our members in the image and likeness of God.